Every craftsman needs their tools. We are all craftsmen of our lives. Below are books I've read and products I've used that I wanted to share with you. Each of these has provided value to me as an entrepreneur or as a passionate person. Each of these tools falls into one of four categories: productivity, finance, creativity, and hope. These are the four essential elements needed to build a passionate life. If you're short on time, I strongly recommend checking out these books as audiobooks. I listen to books almost every time I'm in the car or traveling and can crank through more books than I thought possible. Check out the link below to get a free no-strings attached trial to Audible (an Amazon company). While I do receive a small amount of compensation if you choose to purchase through these links, know that I only recommend things I've actually benefited from personally. If I wouldn't recommend it to you in person, I wouldn't recommend it here. If you've come across something you'd love to see below, send me a suggestion here. 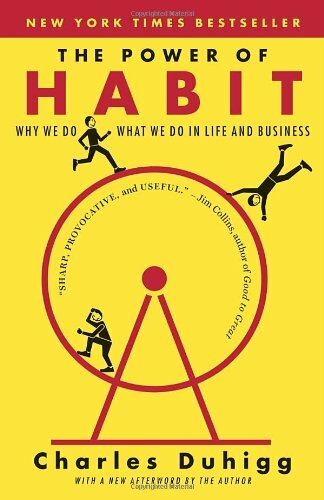 A modern classic, The Power of Habit had been on my list to read years before I got around to it. A shame since in the end a lot of what I consistently battle with revolves around bad habits. Reading this book helped me to understand what drives habit formation and how to modify behaviors to fit my goals. Beyond personal habits the author, Charles Duhigg, moves to organizational and societal habits that shape the way the companies we work at and the world around us function. I think many of the organizational habits that he describes would be great to change in theory, but in practice can be incredibly difficult without being a top-level executive. This has been one of my favorite books of 2016, and I strongly recommend giving it a read. Developing habits and efficient methods for working through life pays dividends in the long run. This is pretty much the quintessential productivity book for a reason. I read this book in college and immediately started organizing my tasks along some of the frameworks he describes. There were many lessons I took from this book, but by far the most impactful was the distinction between Importance and Urgency. It's so easy to get caught up in the urgent and pressing tasks, that it's almost inevitable that the important ones will slip through the cracks. 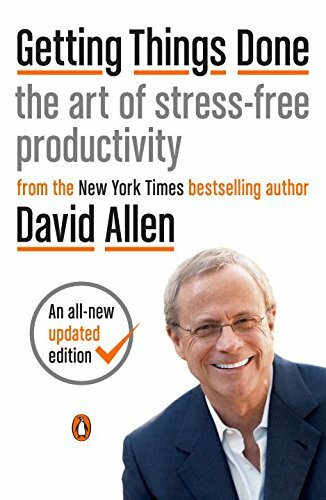 While putting your life on hold to redo everything along the lines of the GTD method can be extreme, just implementing a few of the key lessons from this book can go a long way. While I think people in their 20s and 30s have enough advice spewed at them from every news story or blog post about millennials, I think The Defining Decade deserves a chance. 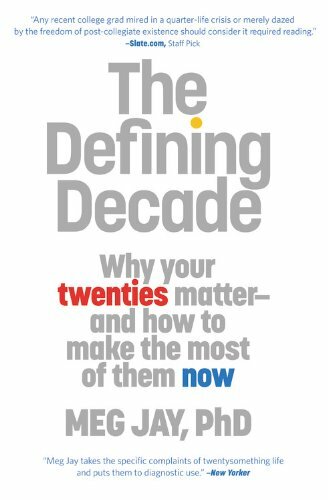 In this book, Dr. Meg Jay draws a pretty compelling argument for why it's important to be very thoughtful about how we spend our time during as twenty-somethings. It's not just about doing things in our twenties, it's also about setting ourselves up for fruitful thirties, forties, and beyond. Truthfully, I think the advice applies to people at any stage in their lives, as I believe it's never too late or too early to have a plan for our lives and make moves towards our goals. Pat Flynn is well known in the online entrepreneur scene as the founder of Smart Passive Income, a website dedicated to helping people start online businesses. In this book, Pat lays out a pretty clear plan of action for evaluating any business idea. While the focus is on building an online business, pretty all of his ideas are relevant to completing market research and evaluating potential customers in any field. I picked this book up as I was revisiting my marketing strategies for a project, and realized that not only did I have a lot of work to do, I was moving in the opposite direction of what I was aiming for. If you're like me and are constantly struck by new business ideas, read this before you start down the path of creating your next one. It could save you a ton of money, and more importantly, a ton of time. Make. Sell. 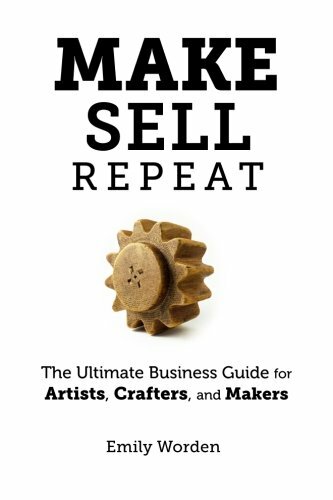 Repeat is a step by step guide to help those of us who want to build our hobbies and passions into businesses, but don't have the formal education on what starting a business really means. Based on the author's experiences with launching her own online business of selling handbags, as well as her formal business education, Emily distills some of the most basic, and yet most important steps to building a business for crafters. Whether it's the marketing, legal, or financial aspects of starting a business, she has some advice and tips on how to determine what you need to spend your time on, and what can wait. Having sat down with her and learned about her experience, I know she knows her stuff. IDEO is a world renowned design firm that has established not only an expertise in industrial design, but also in creating a fiercely loyal culture. While most entrepreneurs think that culture is something that organically comes out of the first few employees and grows from there, the founders of IDEO realized early on that focusing on carefully curating a culture of innovation was needed through the selection of employees and the spaces where they work. 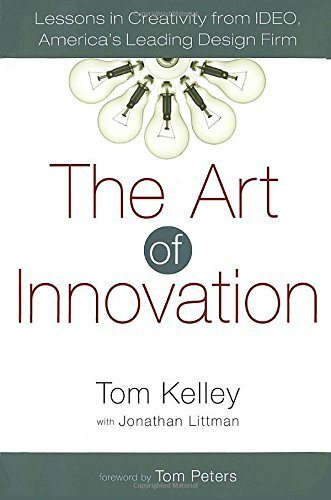 The Art of Innovation is a short read, but quickly establishes the value of a thoughtful approach to company culture. It also has an eerily accurate prediction of the technology to come 10+ years after its publishing, giving even more weight to the message. I don't often talk about personal finance, but truthfully nothing gives you more freedom to engage with your passions than having financial freedom. And nothing keeps you from thinking about living a passionate life, than worrying about how you'll be able to keep food on the table. 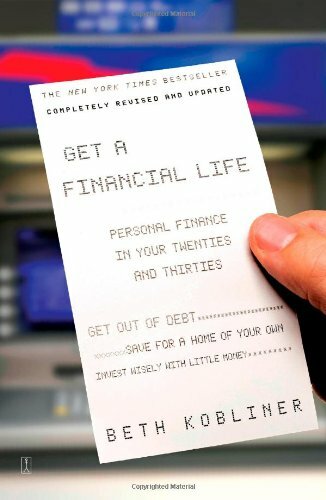 Get A Financial Life was one of the first personal finance books I read when I started on my path towards getting a grasp of my financial situation in graduate school. It's incredibly easy to get without feeling overwhelmed by terminologies and complexities. I've recommended this book to pretty much anyone who shows any interest in personal finance, as it's by far the most helpful one I've read (and I've read many). I've known the author, Miranda Aisling, for many years, and have actually interview her for the blog (and Crazy Enough To Try). For the entirety of our friendship, I've known her to follow a simple, but challenging philosophy: get out there and give it a try. As an artist both by traditional education, and by lifestyle, Miranda sought to capture the process that every artists goes through: aiming to create their best work the first time they create and ending up disappointed when it's not as good as they hoped. In reality, it's only through this practice and 'failures' that we begin down the path towards excellence. But you can only practice by doing. 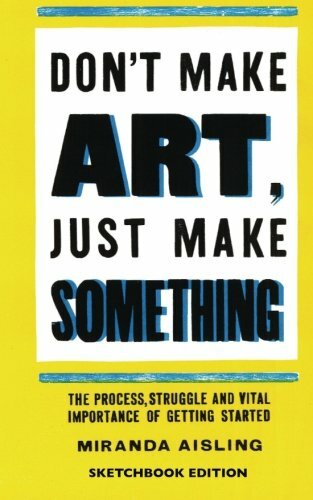 Beyond art, this is applicable to pretty much any area of development. First we need to try, to get started. Then we can work on improving and perfecting the skills we need. 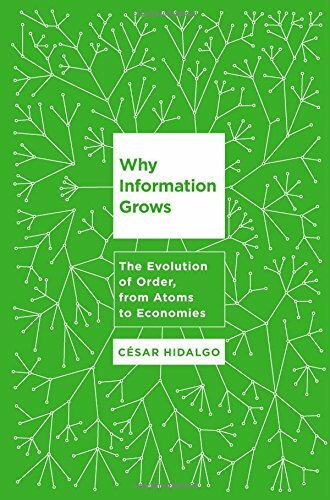 This is a bit on the geeky side, and definitely not for everyone, but I thoroughly enjoyed reading Why Information Grows. When someone says they can relate atoms, entropy, and economics together in the same book, I'm intrigued. To top it off, the author defines physical products as "crystallized imagination" after the concept that what we create in the world was first created in our imaginations. While the vast majority of this book is theoretical, and not particular useful for everyday life, it did get my mind thinking in ways that I don't normally look at the world. As I'm always trying to expand my thought process, this was a surprising treat. Yes, I love to watch Chip and JoJo. But truthfully, that's only part of the reason I enjoyed this book. 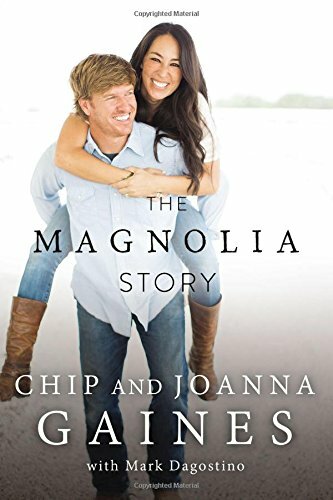 The Magnolia Story is just that: a story. It's a story about how two people met, how they fell in love, how they worked for many years to build something special, but more importantly how they stuck together through it all. It's also a story about the challenges and trials that young business owners face as they take on (sometimes foolish) risks, and have to balance work and a growing family. It's easy to see TV stars have success, but as is the case with most, there are many years of toil and grinding to get to where they make it just look easy. There is also an underlying element of faith in this story, and even if you don't believe in God, we can all admit that the universe does sometimes just work out in your favor. It's a light-hearted story, with the happy ending you'd expect from a book published during the epic rise of a favorite TV couple, but also with quite a few business lessons I was not expecting. Trevor Noah is an incredibly smart and talented comedian. From what seemed like nowhere, he has become a household name. In many ways he has achieved what many comedians and celebrities twice his age still aspire to. However, his story starts from a place that is startling not only in its brutality, but in how average his experience was compared to those around him. 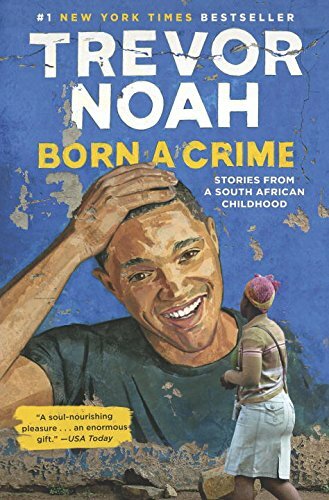 Born A Crime tells Trevor's story from the very beginning, when his birth was in fact evidence of the criminal act of his mother and father being together in South Africa during Apartheid. Growing up, he was teased, ridiculed, and abused for his skin color and his very existence. However, through it all, Trevor was able to parlay his experiences and personality into positive action that led to a career in comedy that took him across the world, and eventually to the United States. I strongly encourage not only reading the book, but especially listening to the audiobook in which Trevor truly brings out the life of his story, and the pain he overcame to make it as one of the biggest names today.